183 acres located near Millersylvania State Park in southern Thurston County, with the first 55 acres of Tilley East purchased just a month before the 60 acres of Tilley West. The Tilley Preserve was expanded in 2012 with an additional 68 acres added. The contiguous lands of the Preserve provide important habitat for elk, deer, foxes, coyote, beaver, porcupine, innumerable songbirds, countless amphibians, and of course, salmon-bearing creeks. Tilley East and Tilley West are comprised primarily of wetland habitat, which drains into two regionally significant salmon-bearing streams; the Black River and the Chehalis River. The properties also preserve extensive forested area, meadow grasses and Oregon white oak. The beautiful Black River watershed hosts an extraordinary ecosystem – a diverse complex of riverine, wetland, swamp, bog, prairie, oak woodland and forested habitats. Capitol Land Trust has been working to conserve this unique watershed in southern Thurston County since 1989. Our very first conservation project was a donated easement on 120 acres south of Maytown by private landowner William Aldridge. Today, more than 5,500 acres of wetlands, forest and farmland on 40 separate sites in the Black River watershed have been conserved by many different partners. The newest additions to this growing mosaic of protected lands are the Tilley Wetlands East and Tilley Wetlands West properties. The two new Tilley acquisitions comprise 115 acres next to William Aldridge’s conserved land, just west of Tenino and south of Millersylvania State Park. They contain extensive freshwater systems of ponds and wetlands as well as forested habitat. Second-growth Douglas-fir, western redcedar and hemlock shelter an understory of huckleberry, snowberry, salal, Oregon grape and ferns. The western edges also contain meadow grasses and Oregon white oak. The wetlands drain into two regionally significant streams: Beaver Creek, which flows into the Black River, and Scatter Creek, which flows into the Chehalis River. Beaver Creek hosts one of only four Oregon Spotted Frog populations known in Washington and Scatter Creek provides important salmon spawning habitat. Diverse waterfowl species such as great blue heron, kingfisher, mallard, and common merganser all thrive in the clean, cool water of both these streams. Bald eagle, osprey, an occasional pileated woodpecker, purple martin and western bluebird also cruise the skies here. Many other species of birds and amphibians make their home in this rich habitat. These properties also provide seasonal habitat for a large elk herd. Beyond supporting abundant wildlife populations, these properties play a vital role by retaining significant volumes of water, thereby preventing flooding of nearby farms, residences and roads. Thank you to our project partners: Thurston County Commissioners and staff, John Drebick of Tilley Road LLC, the Hicks family and the Schock family. 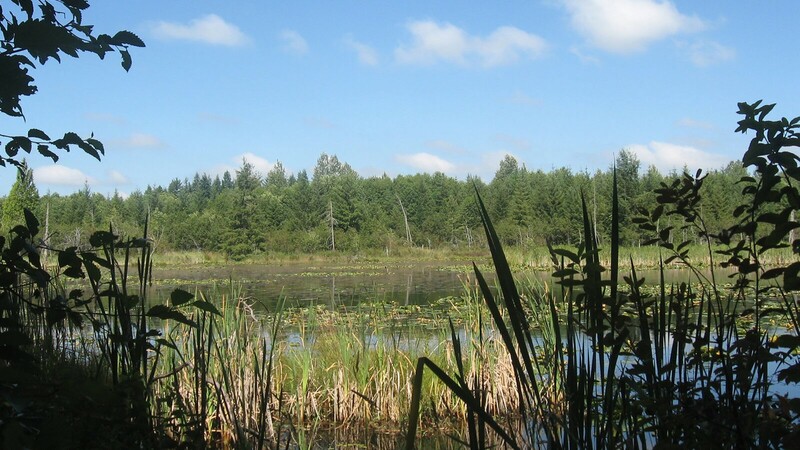 Their foresight and dedication to conserving our region’s natural areas mean that the Tilley Wetlands will remain undisturbed and continue to provide high quality wildlife habitat for many, many years to come. NOTE: An additional 68 acres was added to the Tilley Wetlands Preserve in early 2012.